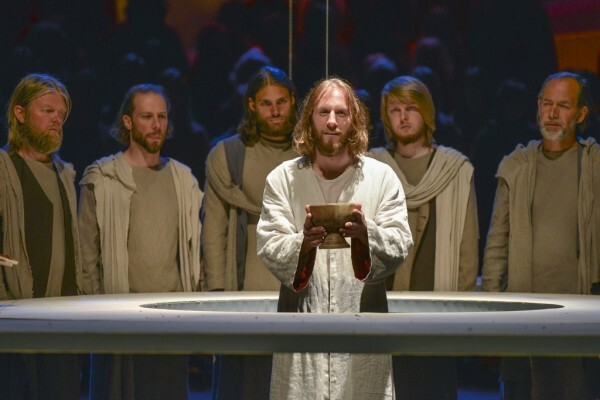 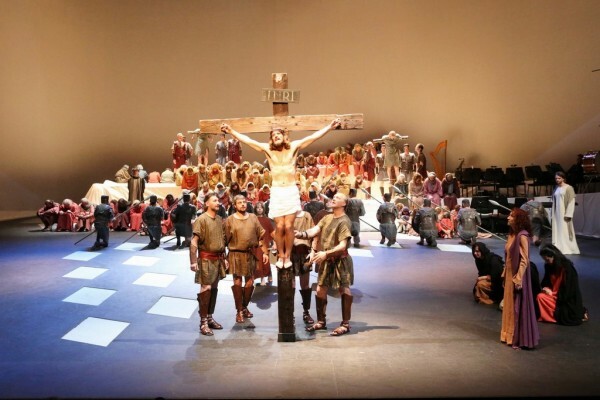 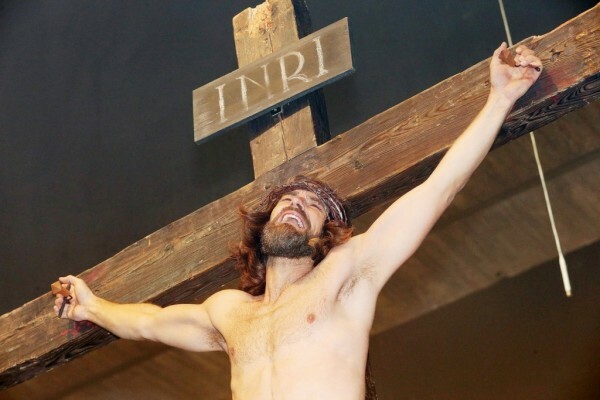 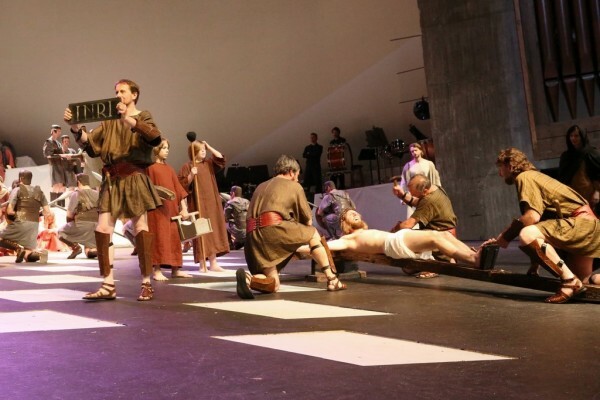 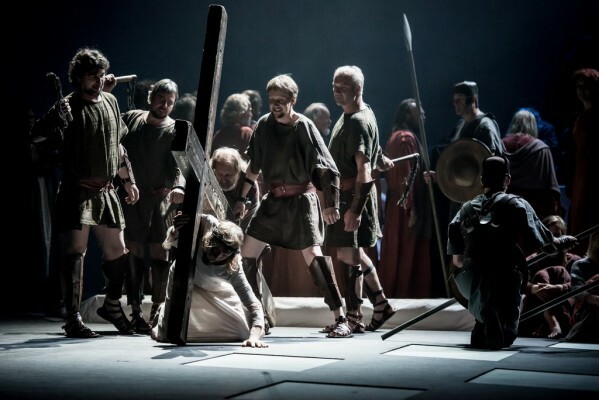 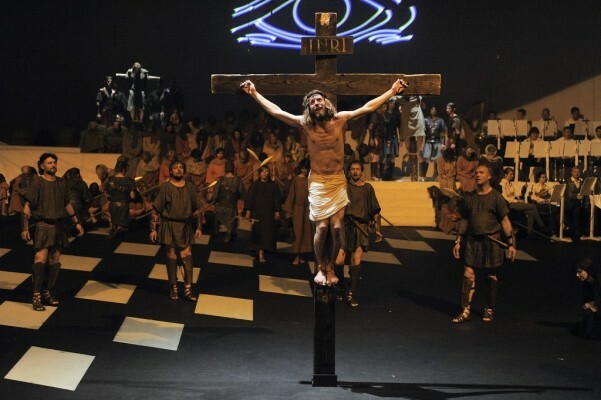 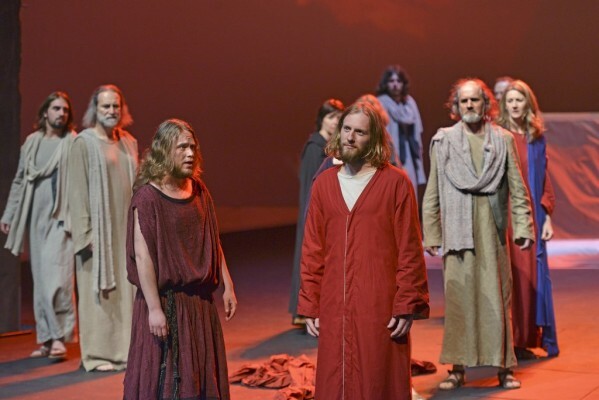 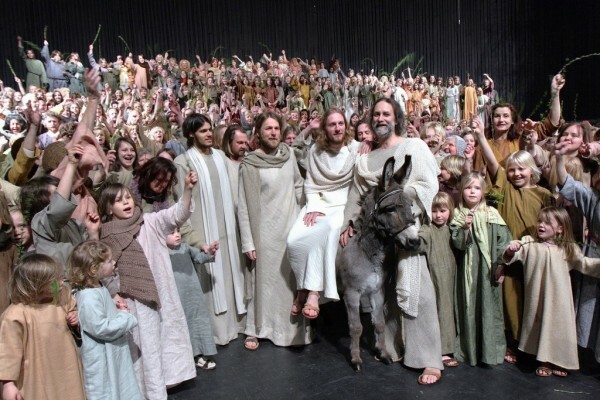 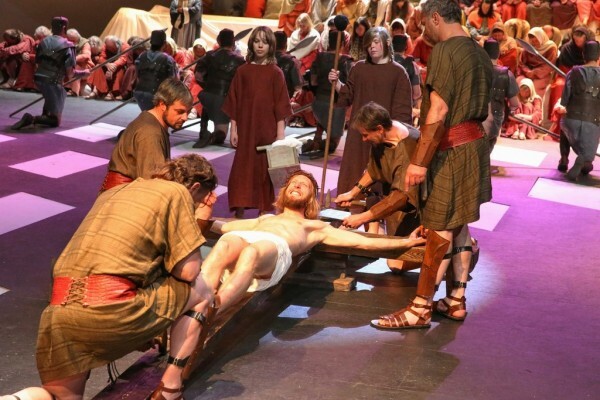 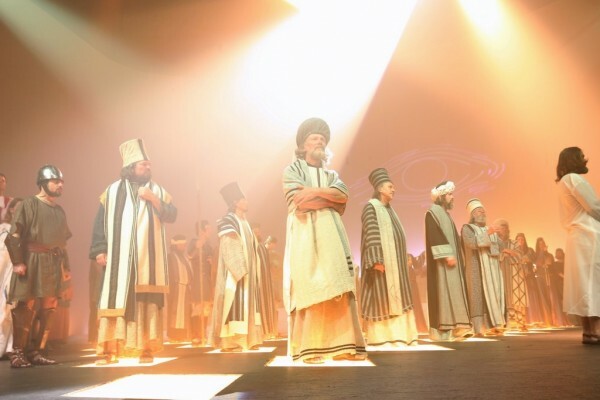 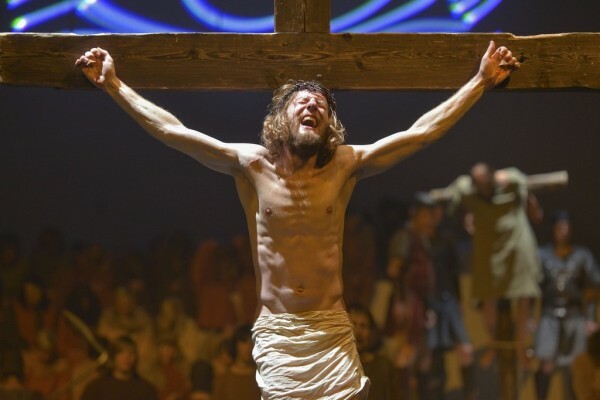 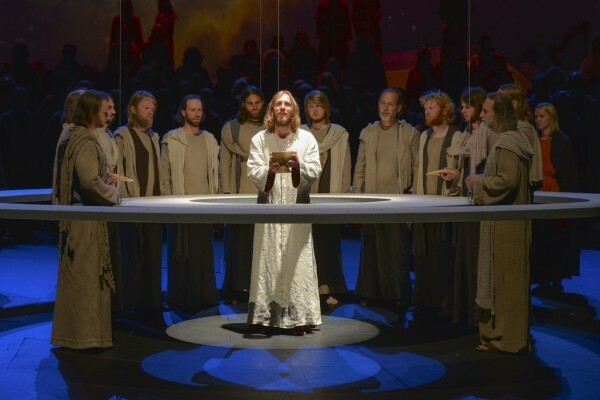 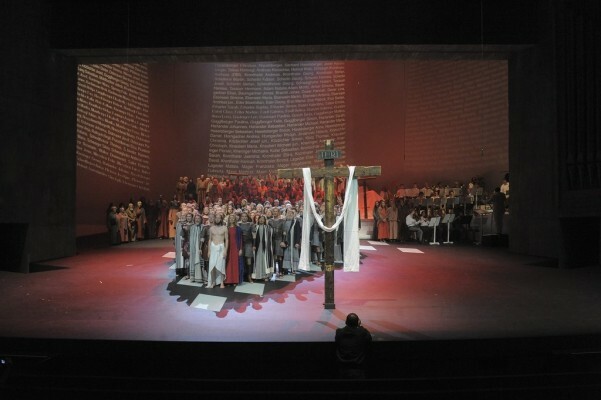 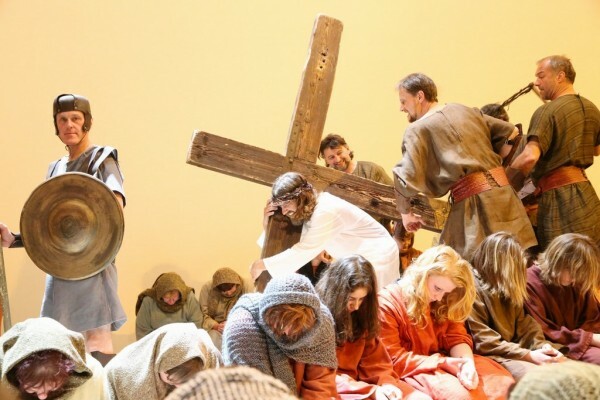 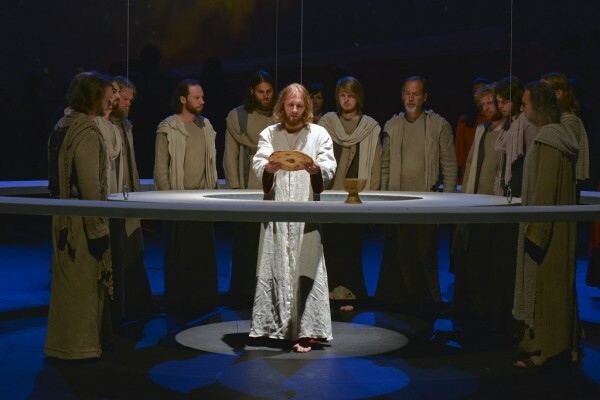 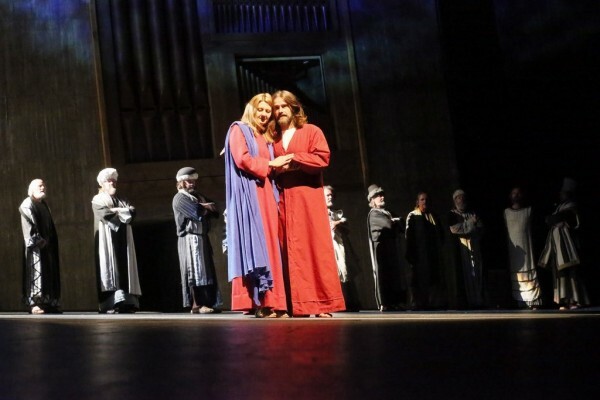 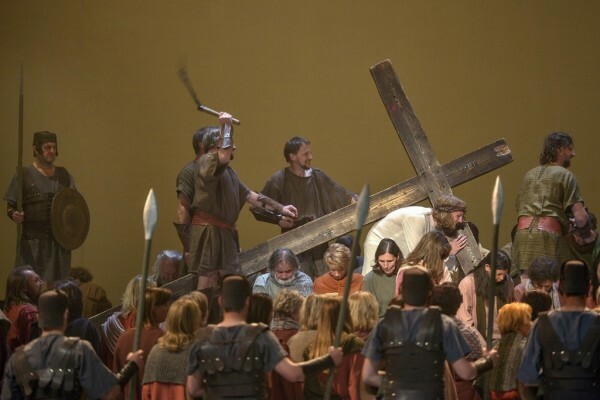 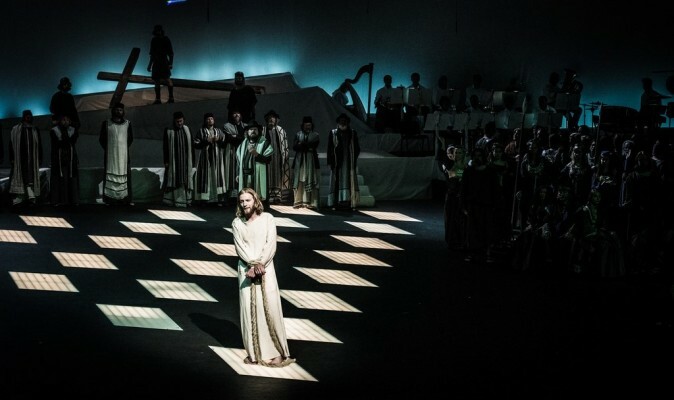 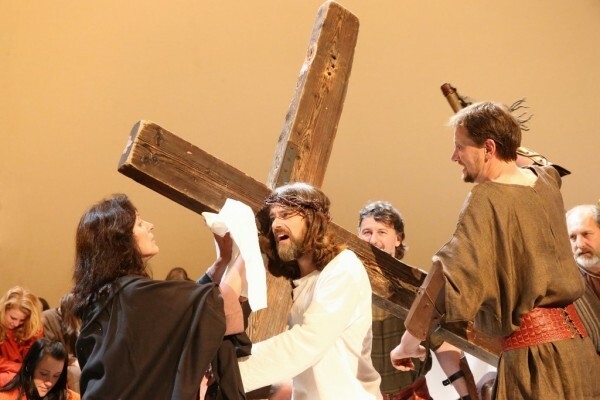 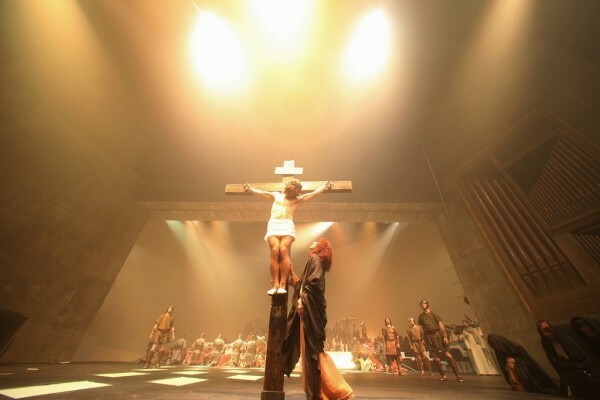 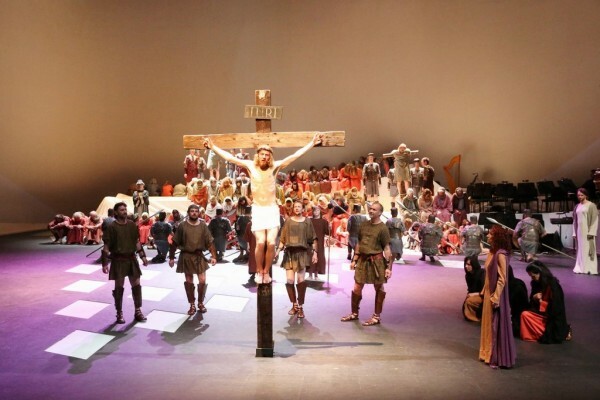 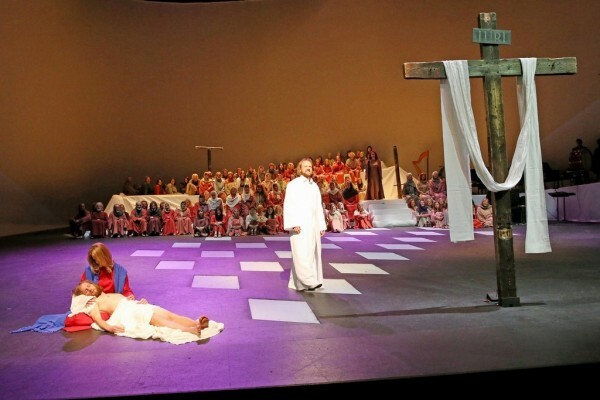 Erl has the oldest tradition of performing the Passion Play in all of the German speaking countries. 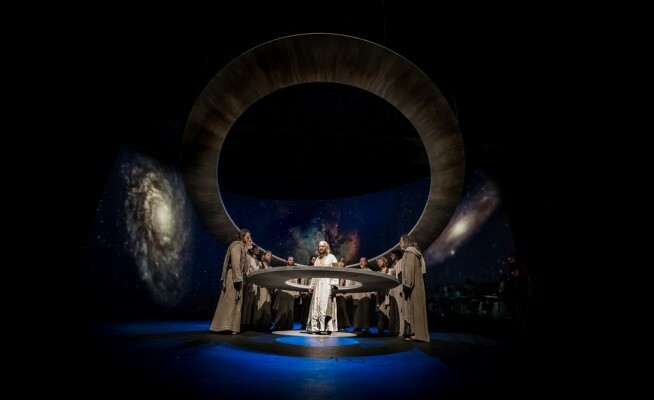 2013: New Script by Felix Mitterer. 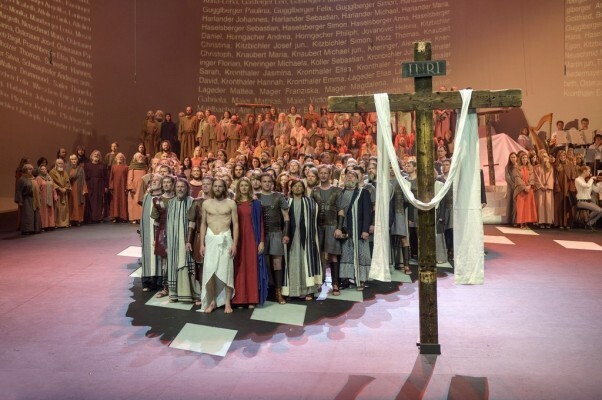 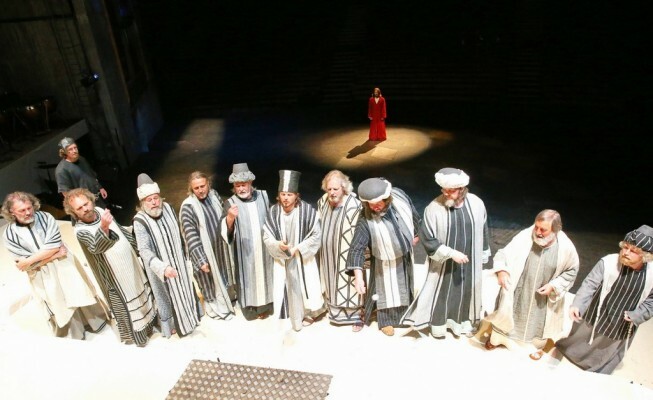 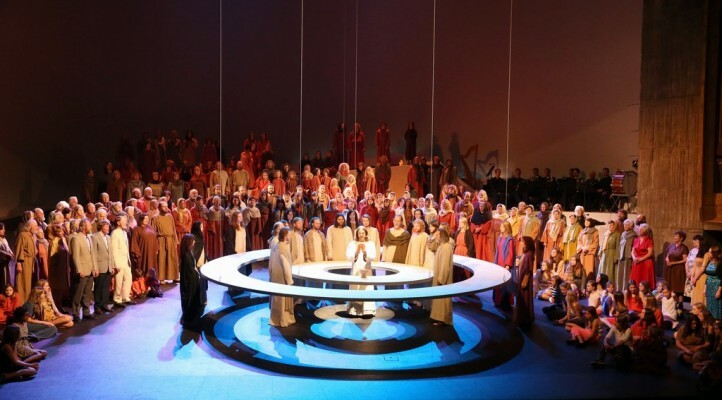 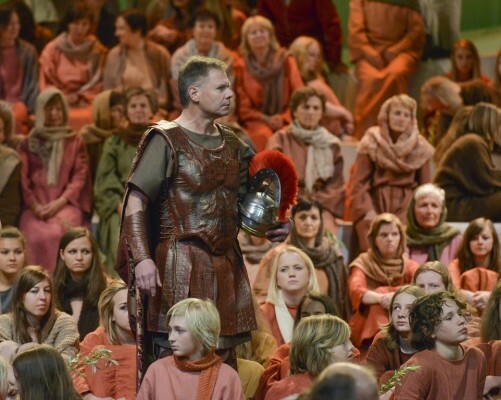 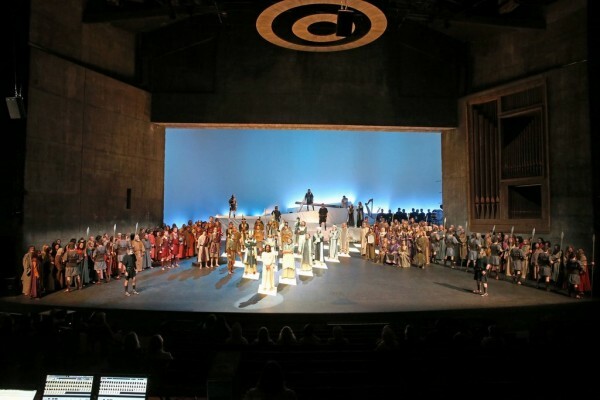 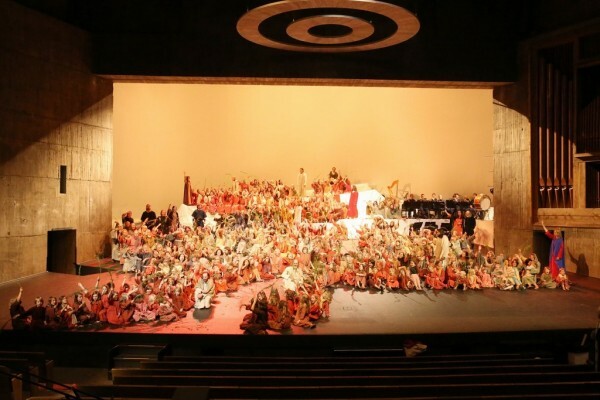 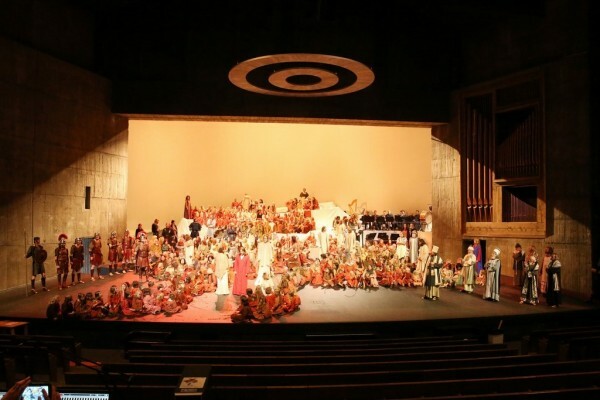 There are more seats in the Passion Play House than inhabitants in Erl, 1500 visitors can enjoy a good view of the performance in the raked auditorium. 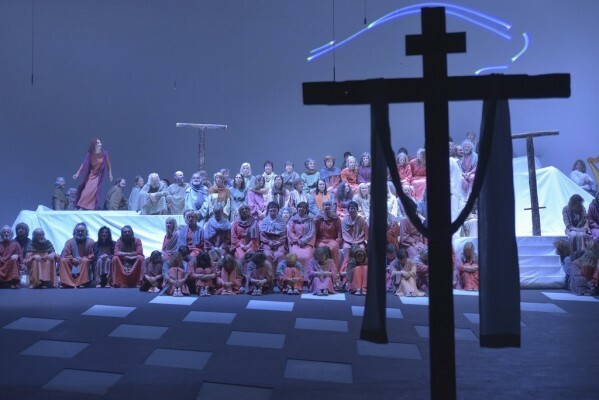 New in 2013: By request: An English synopsis of every scene using headphones. 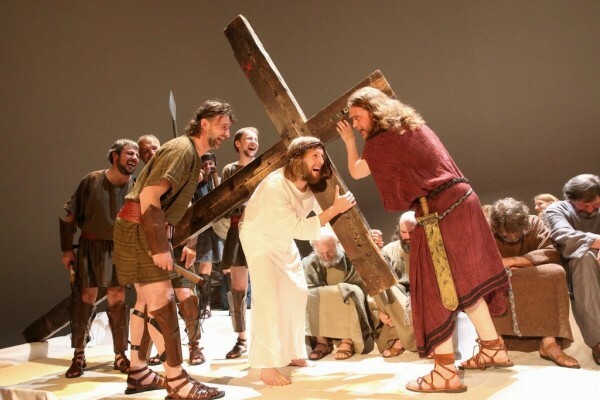 In 1613 the people of Erl began the Passion play because of a vow made during the bubonic plague. 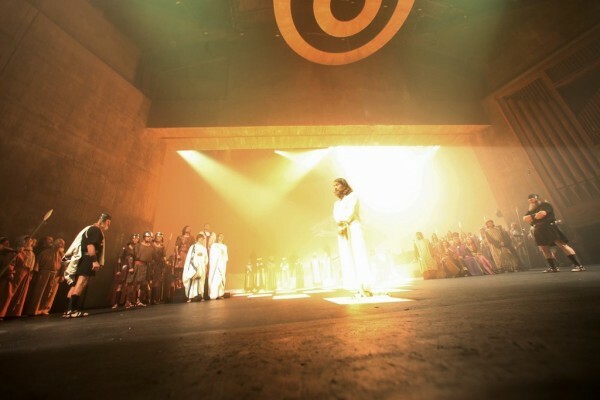 It has been performed at various locations. 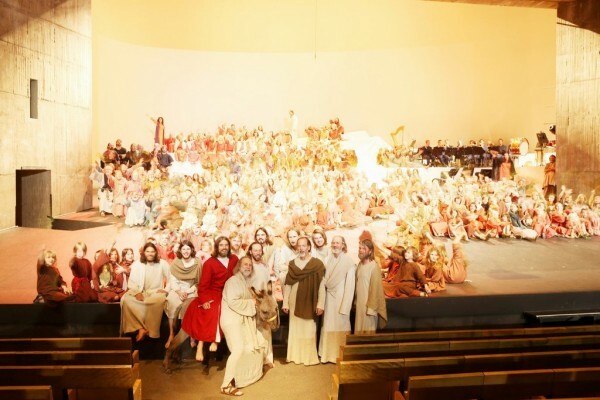 The present passion play house celebrated its 50th anniversary in 2009. 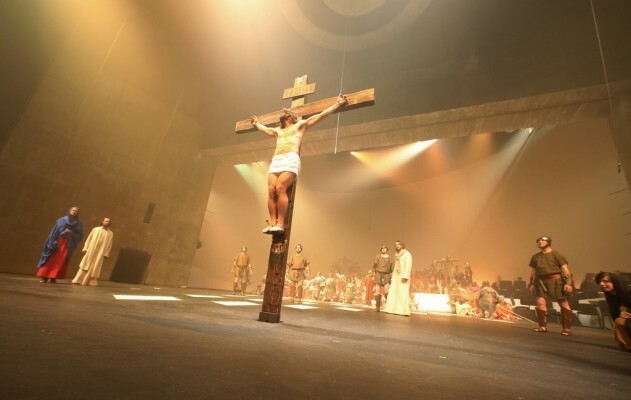 This remarkable structure, with its unique architecture, it was constructed solely to perform of the passion play and is not heated. 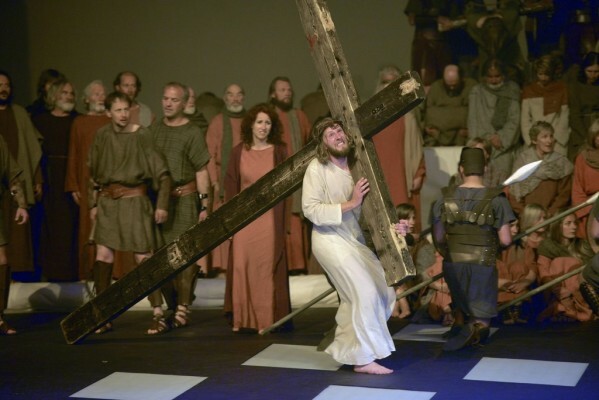 Every six years, approximately 600 amateur players from the villages 1450 population participate in the Passion play.